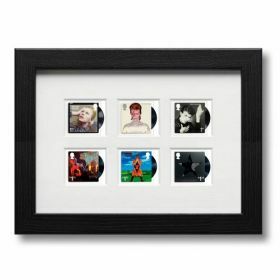 David Bowie framed Earthling stamp and print. UK only. 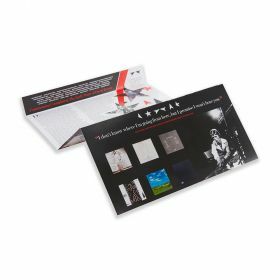 A high quality framed Gicle print of David Bowie's Earthling album cover art. With postmarked stamp included in the border. Hand-numbered limited edition of 950. Dimension W 43cm x 43cm.